Collin County voters may vote at ANY of the polling locations in Collin County during Early Voting. Denton County voters may vote at ANY of the polling locations in Denton County during Early Voting. Collin County voters may vote at ANY of the polling locations in Collin County on Election Day. Denton County voters must vote at the location designated for their precinct on Election Day. 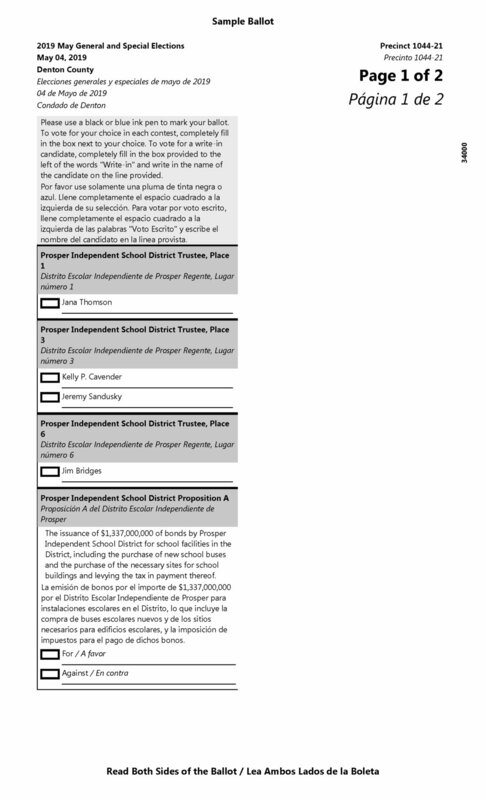 The ballot language shown below should appear on everyone’s ballot who lives within the Prosper ISD boundaries. 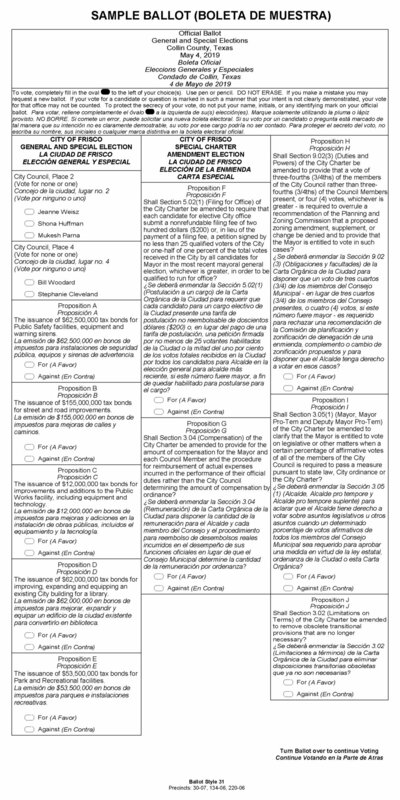 Click on an image below to view a sample ballot for your municipality and county. Collin County residents can click here to find out. Denton County residents can click here to find out.